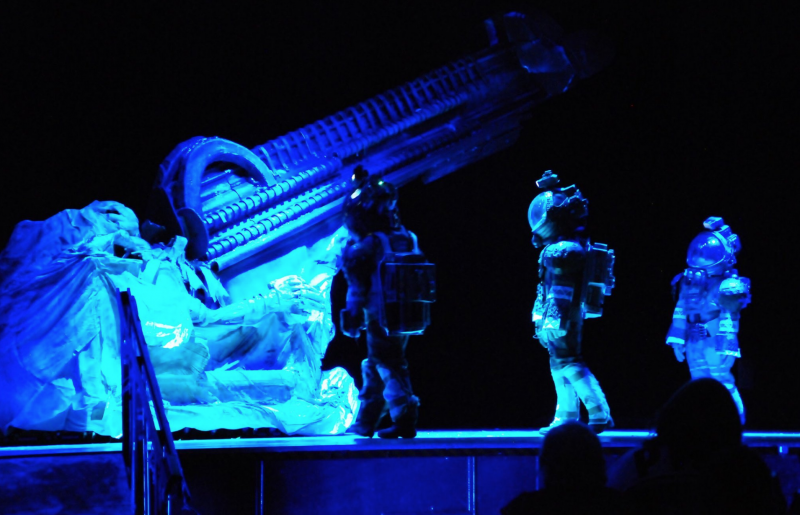 A New Jersey high school went above and beyond for its spring play put on by the drama club, by putting on an impressive adaptation of Ridley Scott's classic sci-fi film Alien. Speaking with Entertainment Weekly, North Bergen High School's drama teacher Perfecto Cuervo says he is a "huge fan of the movie," and that it took about two months to script the play. The school's art instructor, Steven Defendini, also provided help with costumes and set design. According to one student on Reddit, who goes by emo_kid23, most of the props were made from recycled parts. "School didn’t fund any part of it," he wrote. "Everything is raised by students with most of the sets being made from recyclables." It's admirable just how much effort, skill, and dedication went into building this production. Even the creators of Alien took notice on Twitter.